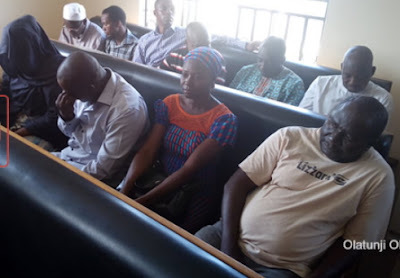 The EFCC has arraigned a couple, Mr. Olaolu Dada and Mrs. Florence Dada, one Blessing Ejeh and six civil servants for allegedly receiving over N300m in salaries from the Federal Government through the notorious ghost worker syndrome. According to Punch NG, the civil servants – Osuntope Opeyemi, Aderibigbe Taiwo, Usman Dayo, Johnson Adedokun, Oyebade Ayodeji and Ojeifo Sylvanus — are Federal Government employees in the Ministry of Agriculture, the Ministry of Water Resources and the Office of the Accountant-General of the Federation. Justice Kekemeke granted the prayers of the EFCC and adjourned the case till November 8 to hear their bail applications. The judge ordered that they remain in prison custody. that is the corruption we are talking about. This country needs God deliverance. that why every youth want to enter higher institution by all means. Corruption everywhere, may God have mercy. Ha a! And they are not even looking rich, ……..unless riches can be measured by the size of the man with pot belly! When you think of all the people who died without receiving their gratuity or pension because the Government treasury was allegedly empty, you will then realize the wickedness of these people’s action. Mchweeeew!